Malcolm Freberg is one of the returning castaways to get another chance at winning $1 million on Survivor: Game Changers this spring. 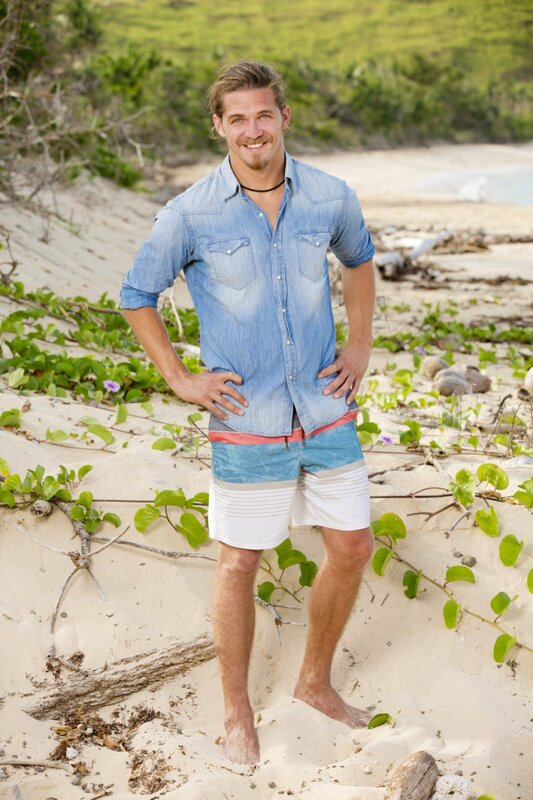 Malcolm, a 29-year-old from Hermosa Beach, CA, will be playing Survivor for the third time. Malcolm will be competing on the "Mana" Tribe with Michaela Bradshaw, Aubry Bracco, Sandra Diaz-Twine, Ciera Eastin, Hali Ford, Caleb Reynolds, Troy "Troyzan" Robertson, Jeff Varner and Tony Vlachos. - Malcolm first played the game at age 25 on Season 25, Survivor: Philippines, when he was working as a bartender in 2012. He finished in fourth place thanks to a plot devised by the Final 3 castaways. Malcolm also missed out on winning the "Player of the Season" home viewer vote, as only 0.7% of the vote separated himself and the $100,000 winner, Lisa Whelchel. - Malcolm's second time as a castaway was on Season 26, Survivor: Caramoan -- Fans vs. Favorites, in 2013 when he placed ninth. Malcolm was voted out of his tribe at the season's eleventh Tribal Council session. Although he paid $480 at a Survivor auction for an idol clue, he never found the hidden Immunity Idol that could've saved his game. Ironically though, Malcolm had found two prior idols. - He told Reality TV World in a post-Caramoan interview that filming back to back seasons of Survivor was negative for the most part and served as a disadvantage because no one on the beach knew of reputation, and so castaways didn't know what to do with him and whether they could fully trust him. - Malcolm said one of his personal claims to fame was organizing and running a program as a college student that paired varsity athletes with underprivileged children in a free-to-join sports league. - Malcolm, who admits he can be cocky at times, said he began dreaming about competing on Survivor when he was only 12-years-old, when most boys dream of playing major league baseball.